Are you an “All in one” kind of person or a “Cream the butter and sugar together… etc” kind of person? I fall into the former category, just put all your ingredients in the bowl and mix it up – far easier and no chance of the dreaded curdling. Then is it just sandwiching the layers together with just jam or do you add a dollop of butter icing too? Where’s that cup of tea? Now here’s a cute idea (and a cost effective one too) how about a tower of mini Victoria Sandwiches for your wedding cake? 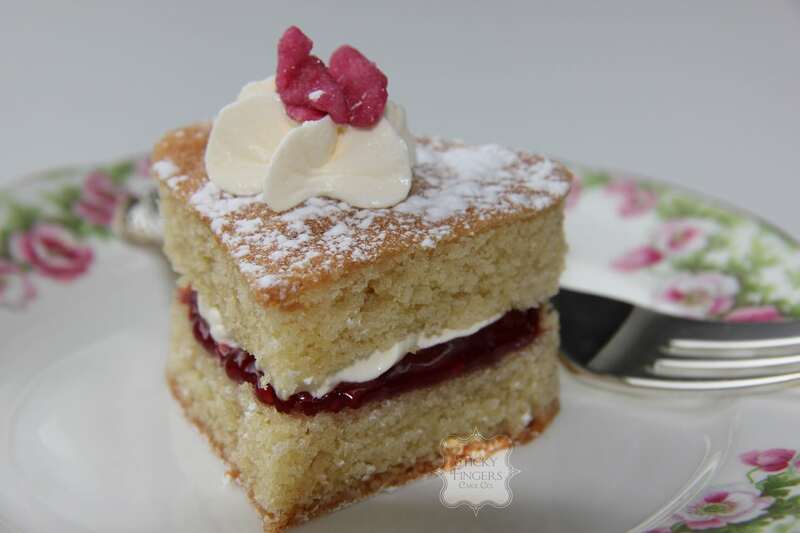 Layered with a lovely raspberry or strawberry jam and butter icing, then sprinkled with icing sugar with a squirt of butter icing on top with a pretty sugar flower placed on top of that – lovely for a summer wedding in the countryside!